Crayfish or West Coast Rock Lobster (Jasus lalandii) is not something that makes a regular appearance on my dinner plate. This once-copious crustacean is now a threatened species, unscrupulously overfished for the past few decades – a cause that has resulted in environmental and economical consequences. 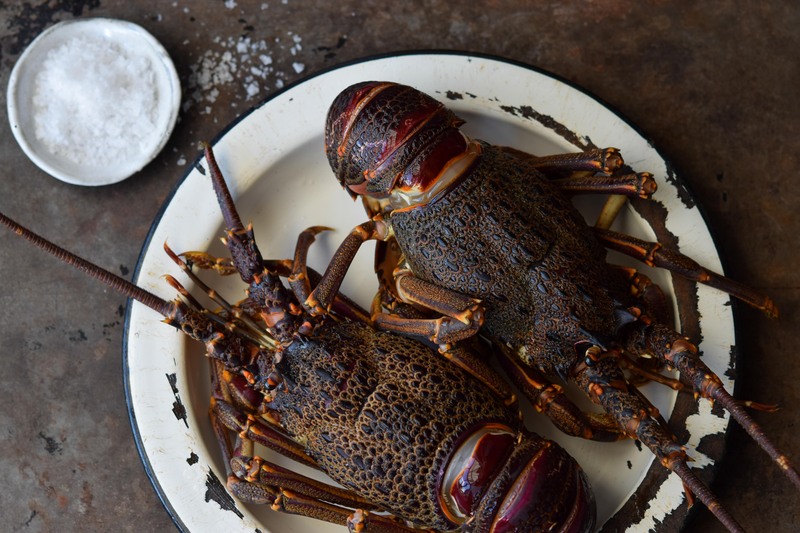 Income loss for small scale fishermen, over-consumption by foreign markets, an increase in poaching and the sale of undersize crayfish have meant that South Africans will never again see the abundance of crayfish enjoyed by previous generations. Having written on the plight of the West Coast’s red gold before, this paragraph stands as valid now as it did when I penned it two years ago. 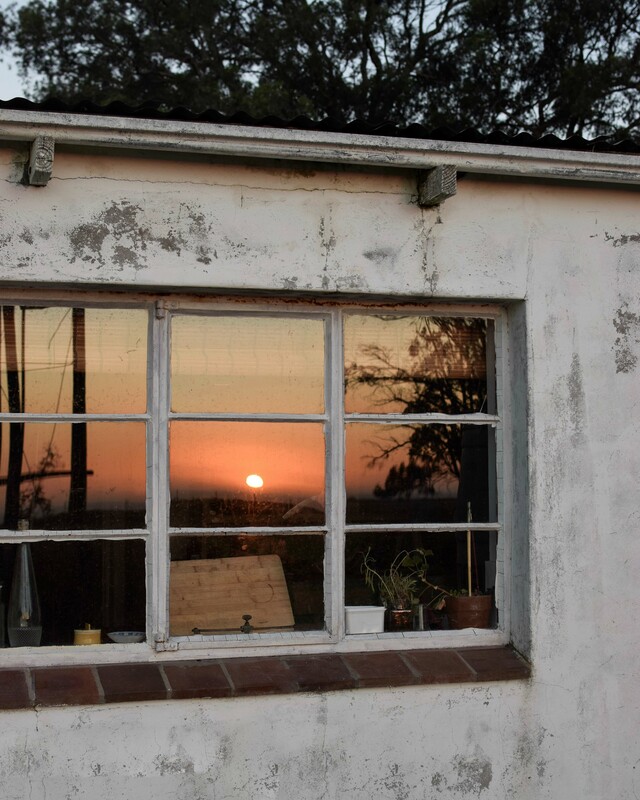 “It was during the early twentieth century that crayfish began be to fished commercially, canned and sent off to France, North America and the East. 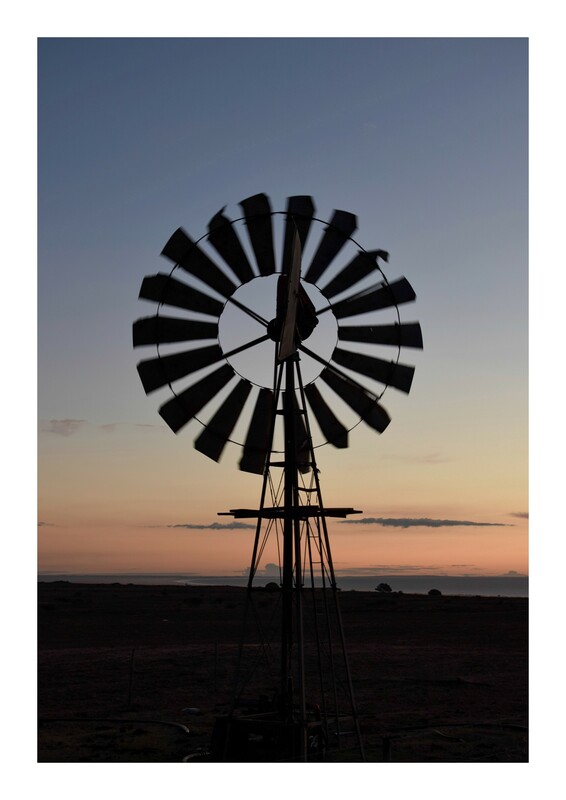 Prior to that it was considered a nuisance and given to local farmers as fertilizer. Heartbreaking as this thought may be, what is more troubling is how over the last thirty years, the West Coast Rock Lobster has been fished to almost extinction. High demand, oversized quotas, unscrupulous government deals and illegal fishing have caused this slow-growing crustacean to be plundered from the coastline with dire consequences. 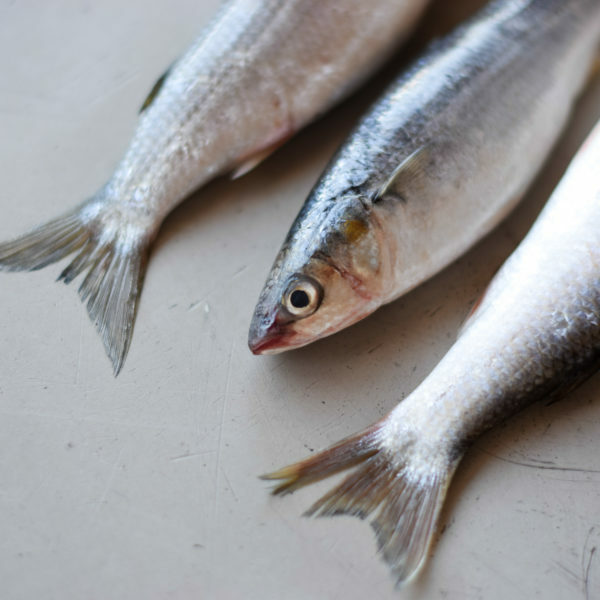 As of this year, the West Coast’s red gold found itself on SASSI’s red list – the eventual result of almost four decades of unbridled overfishing. A hotly contested topic, permits for the recreational fishing and diving of crayfish are still issued, although no longer with abandon. 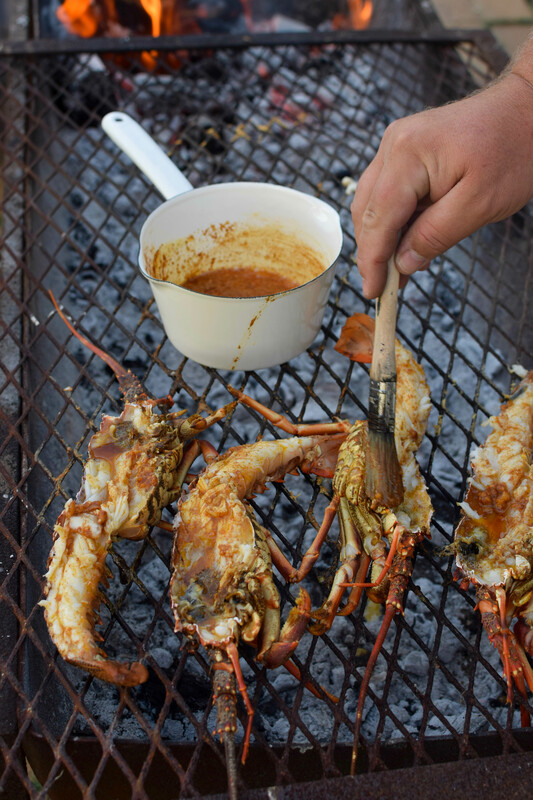 What with the 2018/2019 crayfish season only open for 12 days and the catch thereof is illegal to be sold commercially, the notion of enjoying a crayfish braai is often little more than a dream. 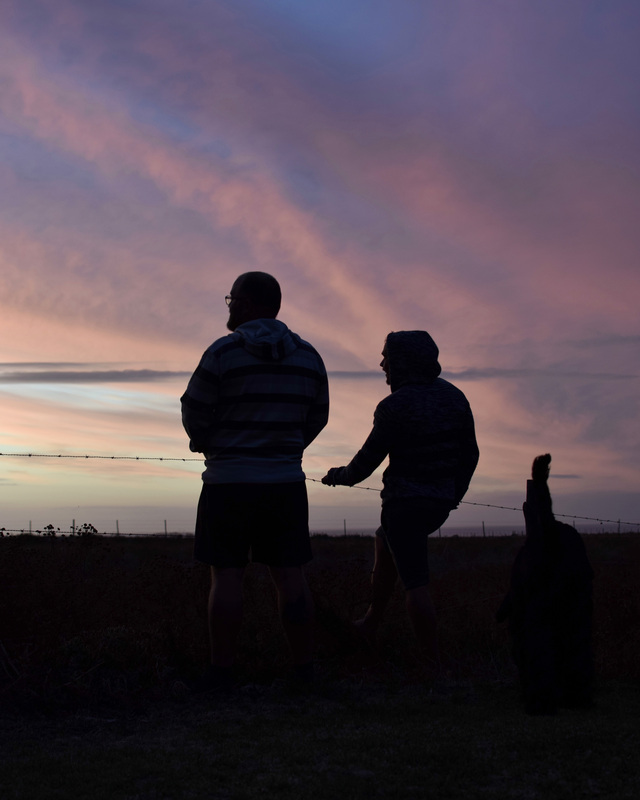 However, this can usually be realised by knowing someone with a recreational permit who isn’t averse to parting with their catch – just make sure it’s not for cash! 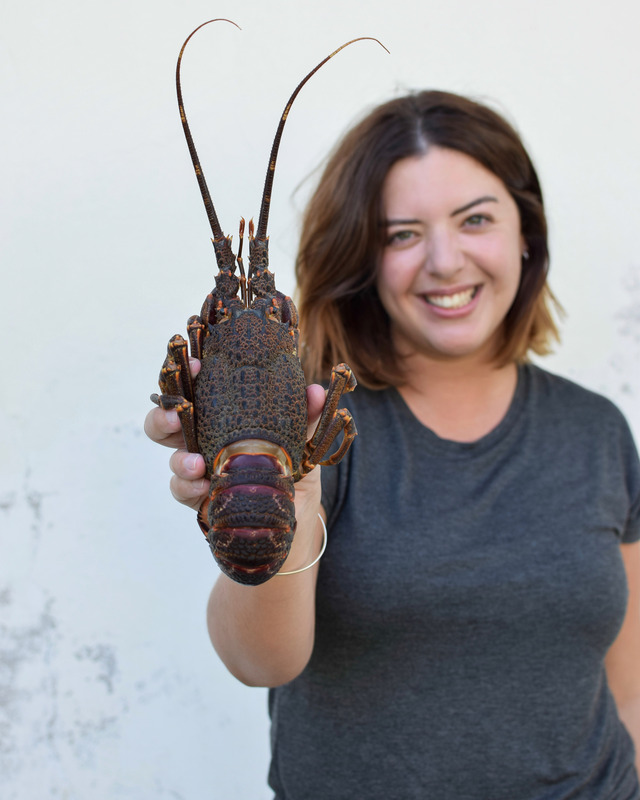 I was fortunate enough to get my hands on two crayfish from a mutual friend that dives out in Elands Bay. 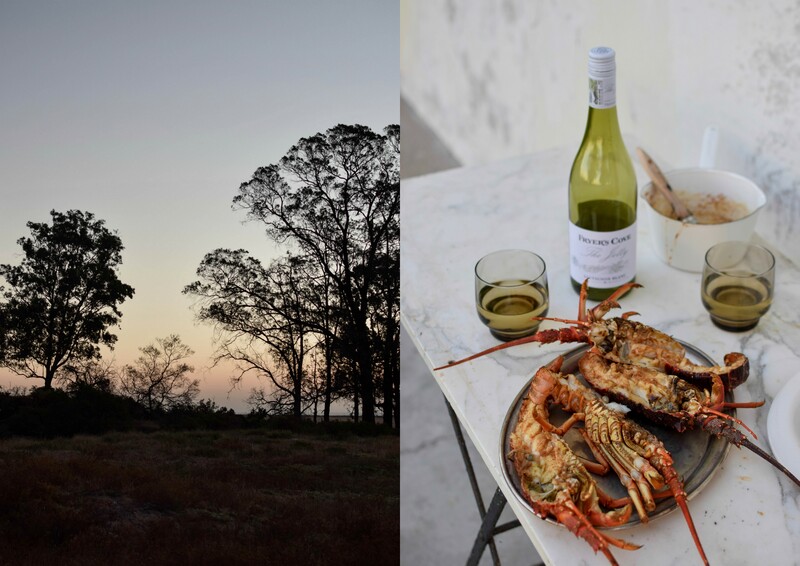 Having caught his quota of four crayfish per person per day, he was happy to indulge my fantasy of a true Weskus experience – a kreef braai on the farm with a goodly amount of local wine, laughs and a breathtaking Sandveld sunset. 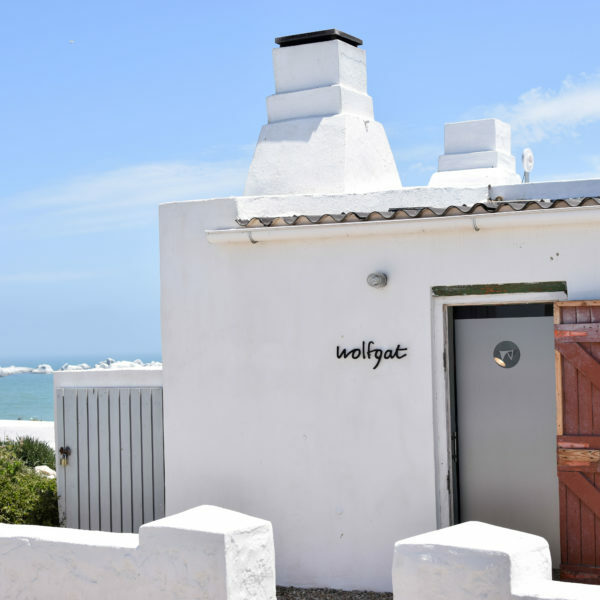 Celebrating the culmination of my upcoming cookbook and finding myself in the final week of my two month tenure in Velddrif, I orchestrated a send-off befitting of Weskus royalty. Not me, the crayfish. An ingredient this rare can’t be taken for granted. 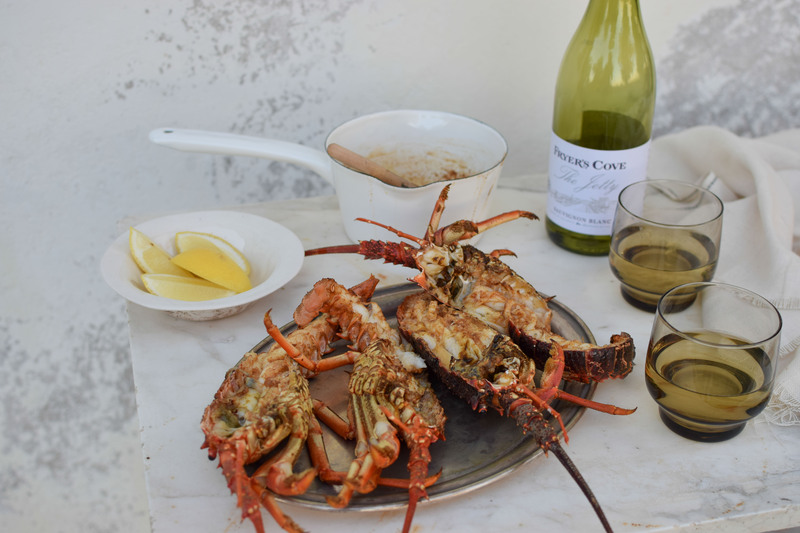 Wanting to highlight the delicate flavour of the shellfish, I opted to follow the traditional route by grilling the crayfish over the coals, basting them in a simple garlic butter and serving them with nothing but a green salad and a bottle or two of Fryer’s Cove The Jetty Sauvignon Blanc. I’ve always balked at those inconceivably kitsch recipes for crayfish that always seem to involve copious amounts of cheese or mayonnaise or god forbid – curry powder! 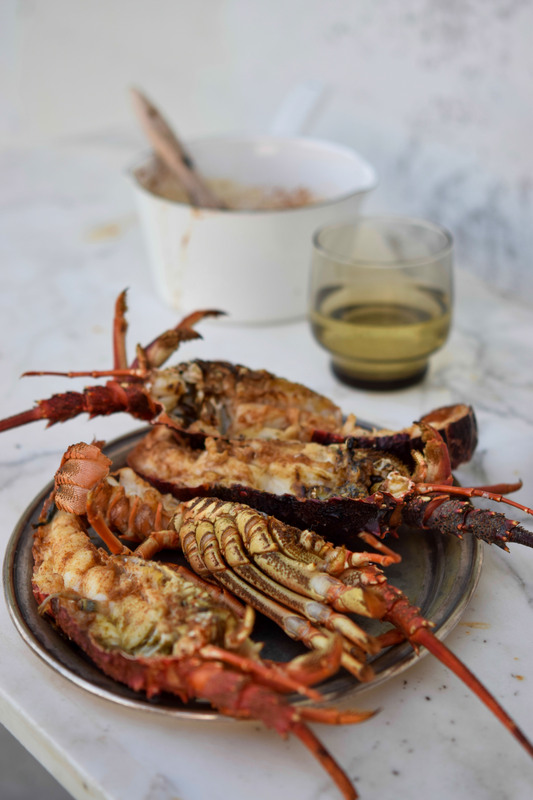 Not that there is anything intrinsically wrong with a good Lobster Thermidor on occasion, crayfish is simply no longer as ample as it once was, and so I see anything that disguises or masks the flavour of crayfish to be an unforgivable waste. Rather use monkfish – a far more affordable and sustainable option. Returning to my recipe, the only concession I made to tweak a basic garlic butter was to add a good pinch of smoked paprika. As for the crayfish, they were as they should be when I received them (alive) and I despatched them by immersion in fresh water. Freezing, boiling or a swift sharp knife to the back of the head also works – depending on your level of murderous intent. I then got a friend braver than I to slice both crayfish in half lengthways and remove the alimentary canal from the tail. One can also scoop out the stomach sac but I tend to leave the porridgy yellow stuff in the head as some folks find this a particular treat. 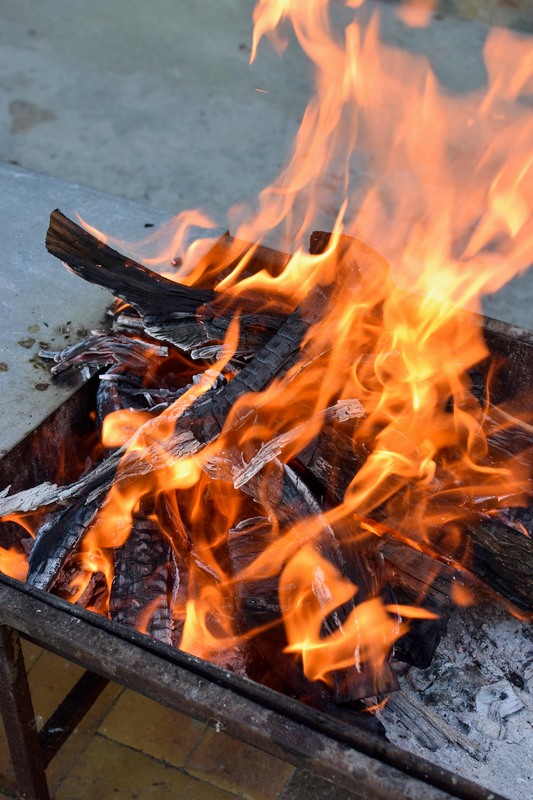 Combine all the ingredients in a small saucepan and place on the braai grid over the coals to warm through. 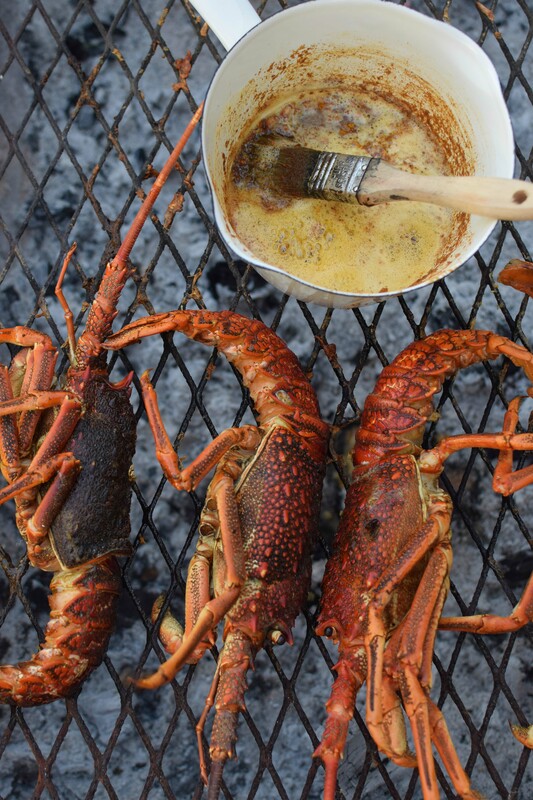 When bubbling, baste the crayfish liberally in the butter, cooking them flesh-side down over medium heat for about 3-4 minutes or until lightly browned. 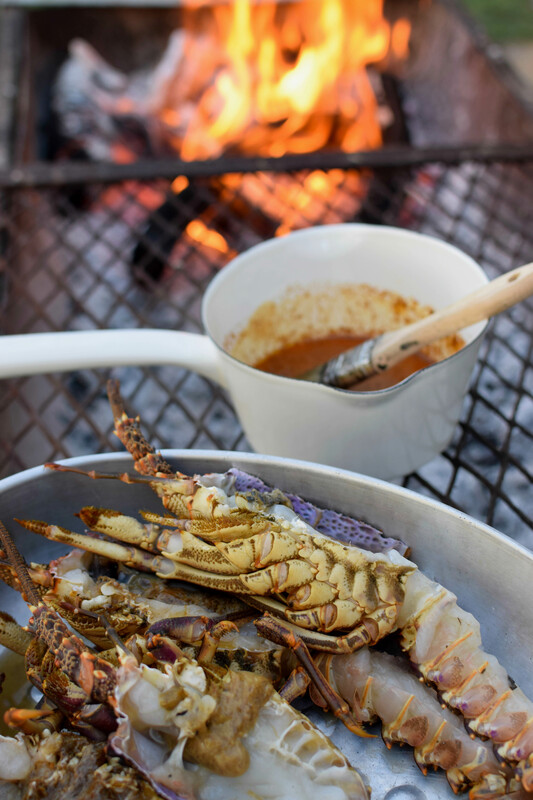 Move the grid to a medium to low heat and continue to cook the crayfish – now turned over on to their shells – for a further 15 minutes, not forgetting to baste continuously. 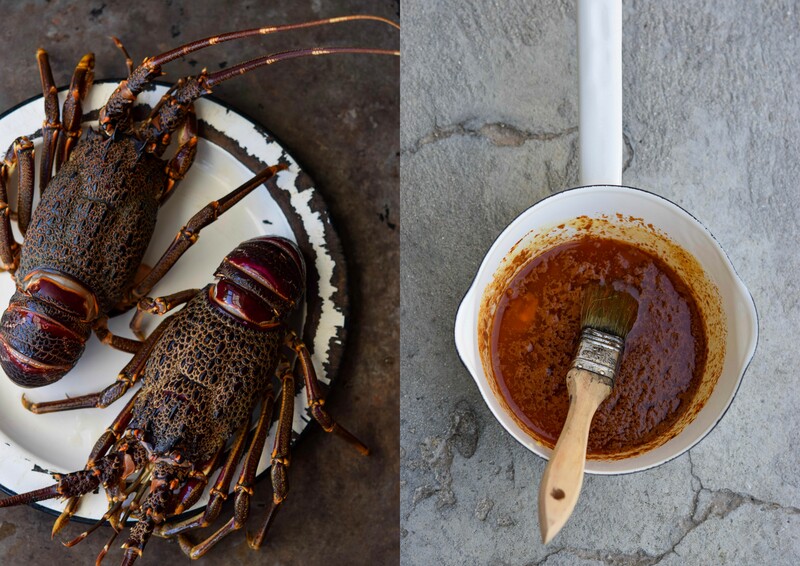 Serve the crayfish immediately and don’t be afraid to get stuck in with your fingers.